Ready for a trip? How about a $1 flight? TRENTON (WABC) -- Ready for a trip in the next few weeks? Frontier Airlines has a deal that may work for you. 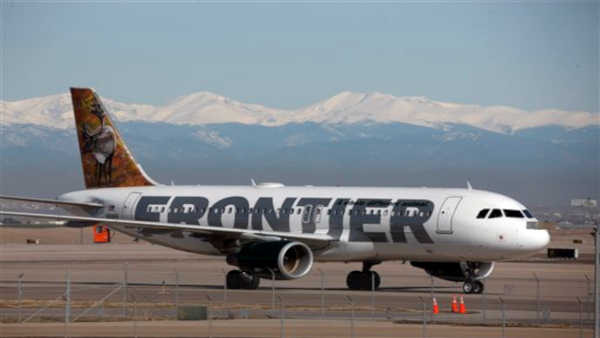 Frontier announced on Wednesday their "Fly For Only a Buck" sale, a promotion that includes last-minute flights from several cities across the country for only $1 (plus fees). The ticket is only $1, but after the fees you will pay $15 each way. You'll also pay extra for a carry-on bag, checked bag or seat assignment. However, if you're willing to travel with a backpack are fine with a middle seat in the back of the plane, you could fly for as little as $30 round-trip. According to Frontier, the flights are from Denver, Atlanta, Chicago,Cleveland, Philadelphia, Trenton and Washington, D.C. However there are several other cities that are included in the $1 sale. Travelers can check for flights at flyfrontier.com. Their website was slammed Wednesday morning, and their pages were taking a while to load. Tickets must be purchased by midnight. Travel is valid from September 2-16. September 8 is a blackout date.